Welcome to our week 6 newsletter. It has been a very busy term so far with our first Residential School at our new location taking place in week 5. It was a historic occasion for our school and the students were very positive about the new building and being on site here at the Bullocky Point Education Precinct. A very special thank you needs to go to Darwin High School staff and students who assisted us in many ways during the week. The Darwin High School students were very welcoming and NTSDE students felt very comfortable in their new surrounds. You can read more about the week's highlights further in this edition of our newsletter. Thank you to all those parents, students and staff who took the time to respond to our 2016 School Perception Survey. This feedback is important for us as it enables us to reflect on our daily operations and look at ways we can improve our school into the future. Next week, we have our Completers Residential. The main purpose of which is to provide support to our Year 12 students who are completing their studies this year. The program provides students with a tremendous opportunity to work with their teachers in a face to face setting as they approach the final stages of their course and begin to prepare for final assessments and in many cases, external exams. Finally, a huge congratulations to the many students featured in this newsletter, who have achieved some outstanding results in Mathematics, History and Science competitions. 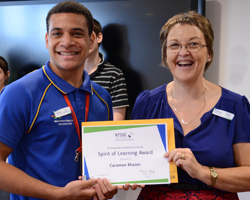 Their achievements in these competitions were recognised during our Residential Program in Week 5. It is fabulous to see our students participating at the national level and achieving such wonderful results. 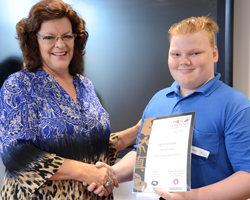 The Northern Territory School of Distance Education’s first Residential School in the new Bullocky Point Precinct facility was held last week. Students came from Maningrida, Milingimbi, Elcho Island, Alekarenge, Dundee Beach, Yulara, Numery, Suplejack and Nutwood Downs’s cattle stations and Jabiru and Alyangula Area Schools. 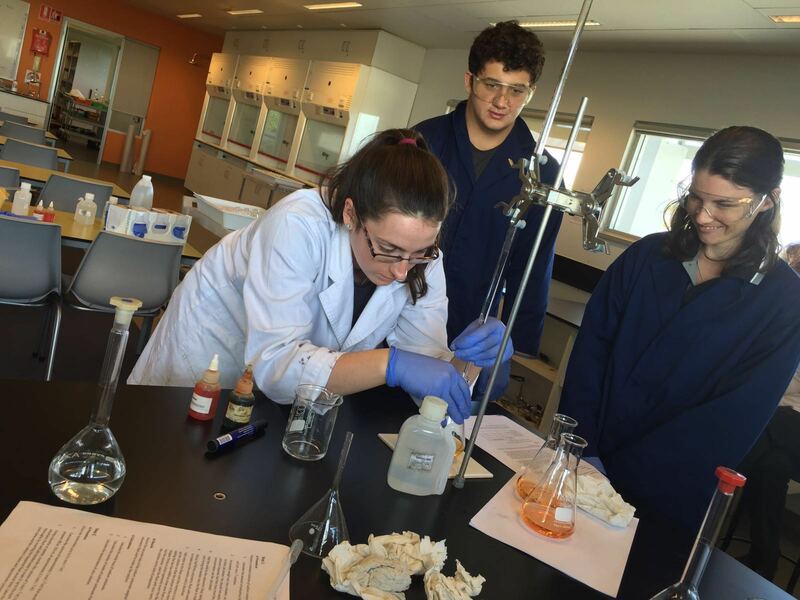 In addition to the one-week Residential School, there was a Chemistry workshop held at Darwin High School on the Sunday immediately before Residential Week. 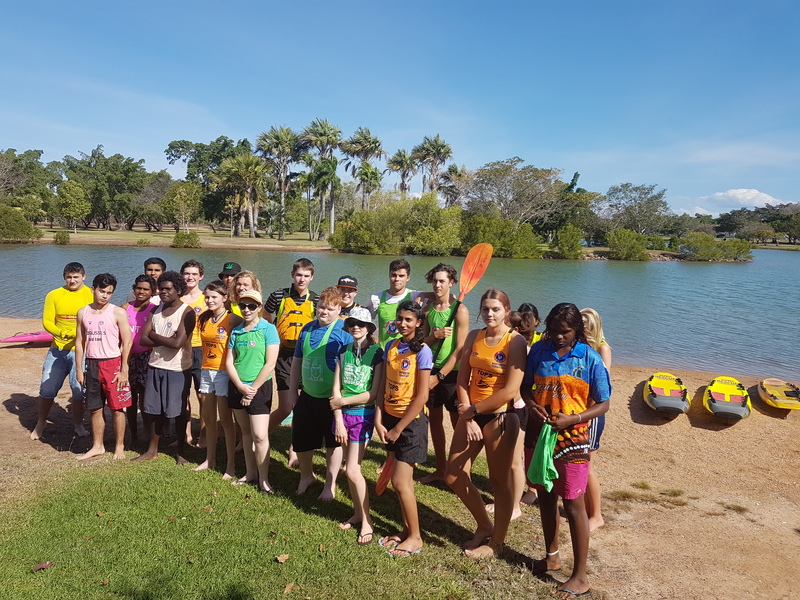 Apart from working hard during their face to face lessons, students had the opportunity to participate in a team sports event afternoon and Surf Life Saving at Lake Alexander. Year 10 Science students also participated in a Robotics workshop and a Questacon Science Circus event. Students enjoyed the Bullocky Point location as they now have access to the wonderful Darwin High School facilities along with the new NTSDE facility. Comments from the student survey about their perceptions of the Residential included ‘enjoyed working as a team to program the Lego car and successfully complete the challenge’, ‘the classrooms are good and are high-tech’, ‘we were able to work in groups and share ideas’, ‘going to the beach and learning about erosion was good’. The Principal’s morning tea was attended by students, staff, several parents and also Aderyn Chatterton who is the Schools Operation and Performance Manager. 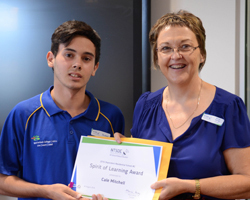 The Spirit of Learning Award was presented to both Caramon Khaisir and Cale Mitchell. These students were outstanding in their application to their studies during Residential. Residential is an opportunity for students and staff to ‘connect and get stuff done’ and if this is the yardstick that we measure success by, the residential was a resounding success. 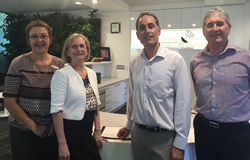 We were delighted to provide a tour of our new facility to Ms Amanda Gorely, Ambassador for the Australian Embassy in The Philippines, and Mr Lorenzo Strano OAM Director, Northern Territory Office, Department of Foreign Affairs and Trade. Accompanying them on their visit was Dr Kevin Gillan, Executive Director Education Partnerships, Department of Education NT. Ms Gorely and Mr Lorenzo were very impressed with the new building and were keen to look at potential delivery to the Philippines by NTSDE in the future. 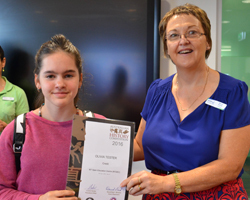 Portia Gallagher and Caramon Khaisir both participated in the 2016 Australian Mathematics Competition. Portia was awarded a Credit which is a great achievement and Caramon also a achieved a good score. Well done! 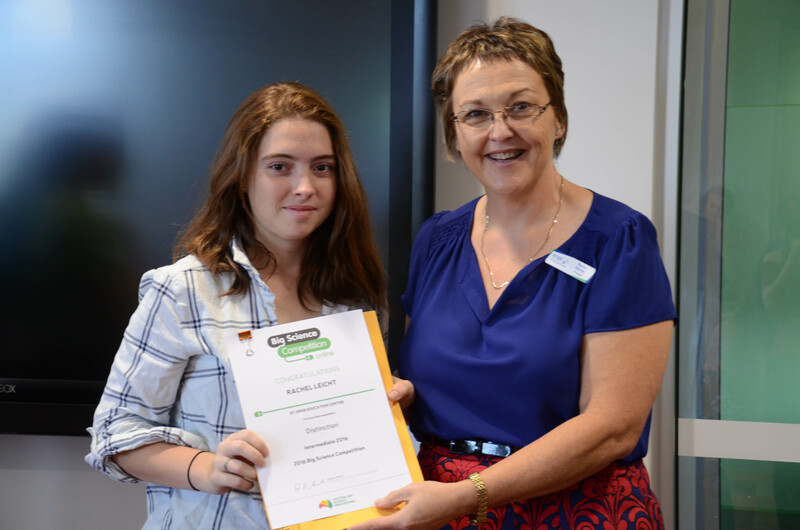 Recently, Sandra Jestin attended a Maths camp in Batchelor, where she spent the weekend with other students learning to work cooperatively in solving mathematical problems. Her participation has sparked interest from other students who say they will consider it for next year. Congtratulations to Alec Foster and Portia Gallagher for their great achievement in winnning the state division of the 2016 Australian History Competition. They have received a medallion that recognises their outstanding achievement. 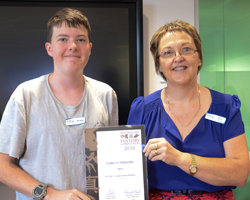 Ms Sand Williams, Year 10 History teacher presented the medallion and the certificate to Alec during the Friday morning tea of Dependent Residental #2. We also would like to congratulate, Connor Parsons for getting a Merit and Olivia Tester for getting a Credit. Furthermore, well done to Christina Abdoo, Cameron Dunbar, Sandra Jestin and Hugo Luccarini for their participation in the competition. 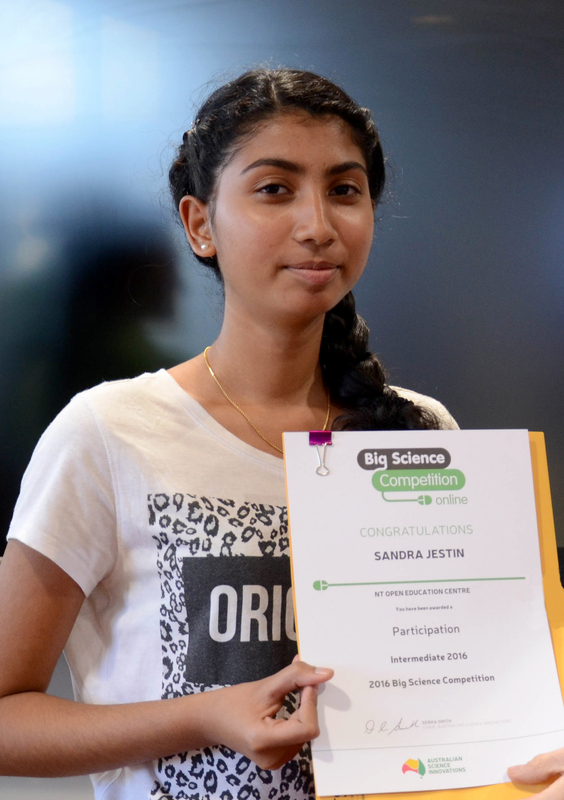 Congratulations to the awardees of the 2016 Big Science Competition, especially to Rachel Leicht who received a Distinction award, Portia Gallagher, who received a Credit and Sandra Jestin, who received a Participation award.